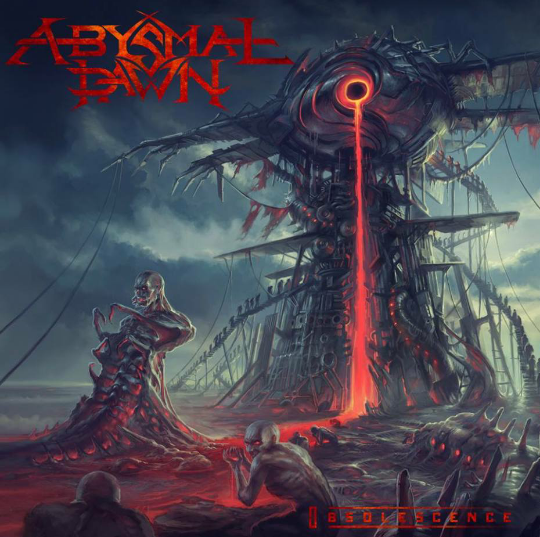 Abysmal Dawn have announced some North American headlining dates. These shows will take place around their upcoming tour with Cannibal Corpse, Obituary and Cryptopsy. 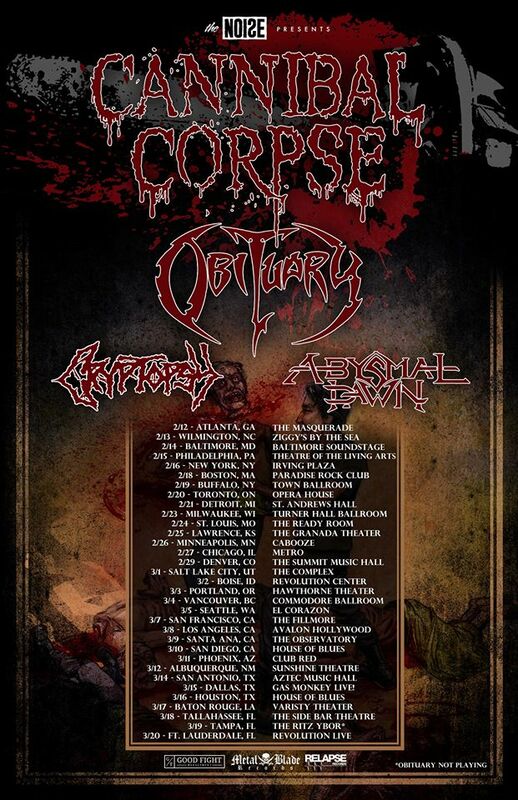 Cannibal Corpse have announced a North American headlining tour. The band will also be joined by special guests Obituary, Cryptopsy, and Abysmal Dawn. 03/15 Dallas, TX – Gas Monkey Live! The initial lineup has been revealed for this year’s Knotfest. The festival will take place October 23-25, at San Manuel Amphitheater, in San Bernardino, CA, and will include: Slipknot, Judas Priest, Korn, Mastodon, Trivium, Corrosion Of Conformity, At The Gates, Body Count, Red Fang, Battlecross, Gwar, Born Of Osiris, The Sword, Goatwhore, Kataklsym, Belphegor, Inquisition, Abysmal Dawn, Bring Me The Horizon, Clutch, Ghostface Killah, Mobb Deep, Suicidal Tendencies, All that Remains, Kyng, Beartooth, Cannibal Corpse, Helmet, Snot, Devour The Day, Six Feet Under, Dying Fetus, Disgorge, Internal Bleeding, and Green Death. 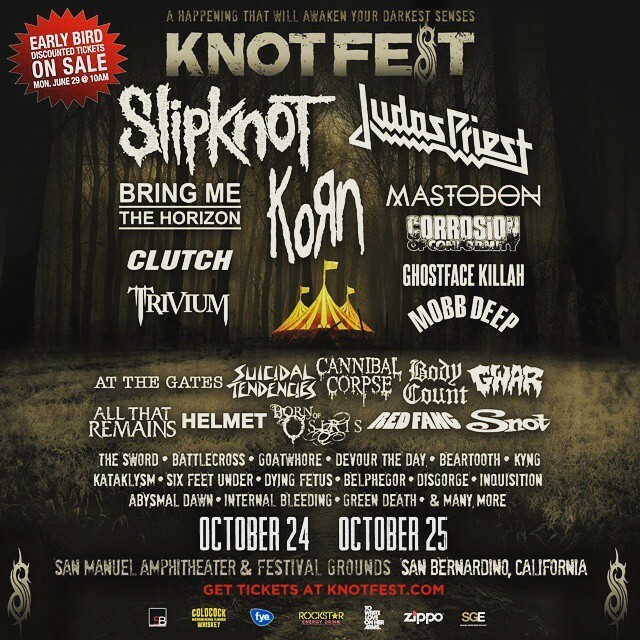 @KNOTFEST​ returns to San Bernardino, CA this October. Early Bird Tickets, VIP, and Camping On-Sale Monday, June 29 at www.knotfest.com. 1349 have announced a 2015 U.S. headlining tour. 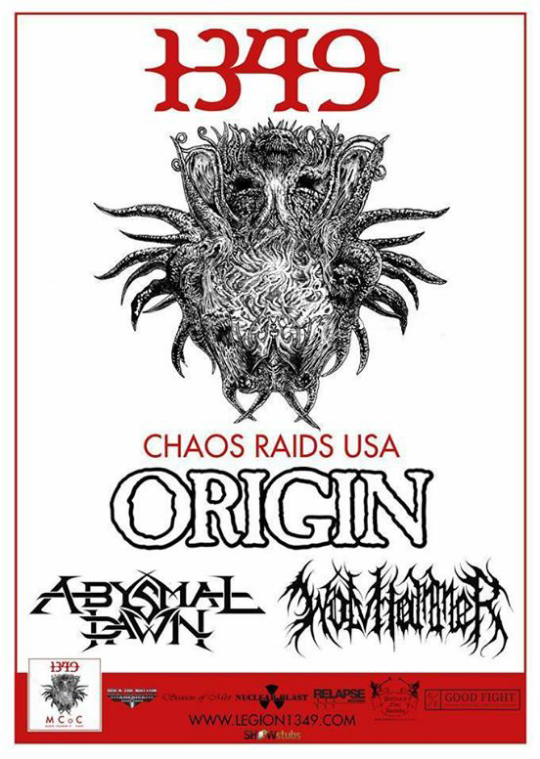 The band will also be joined by supporting acts, Origin, Abysmal Dawn and Wolvhammer.